Happy April Fool's Day Wizards and Pirates! Today Kingsisle announced the 2013 April Fool's Day item......The Slowpoke Sloth! Don't let it's name fool you though. This guy is SUPER speedy. He increases your speed by a whole -40%. That's right, I said NEGATIVE 40%. Oh......wait a minute.....That's not an increase? Oops, my bad! Anyway, this guy may be slow, but he is SUPER cute. And he only costs 1750 crowns in Pirate101, Wizard101, and Wizard101 UK! 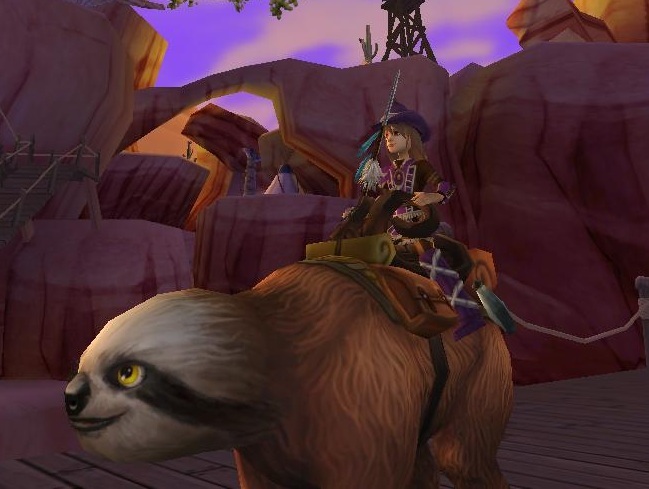 The Slowpoke Sloth is only available until April 7, 2013, so be sure to get yours today! 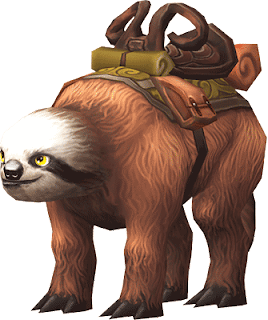 If you would like to read more about this mount, click here. Have a great day and don't play too many jokes around the Spiral!